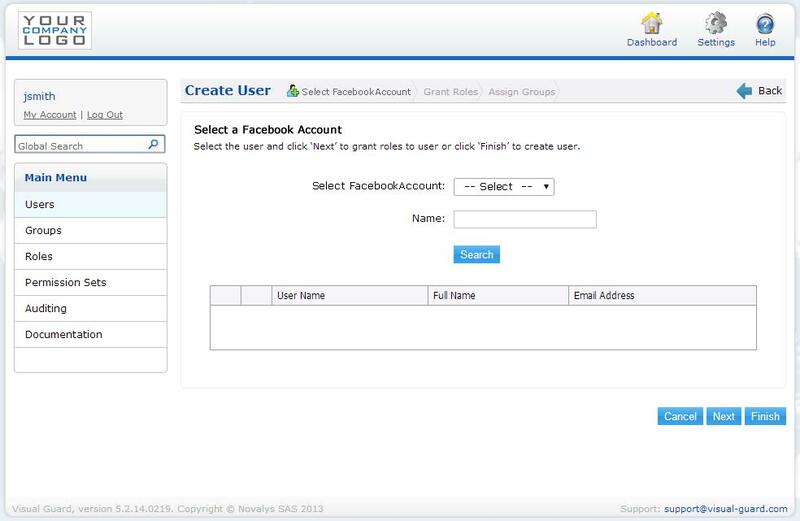 With Visual Expert 2015, allow your users to identify themselves with their Facebook account (on top of classic username/password and Windows accounts). Simplify the creation of accounts, and stay up to date with the latest methods of authentication. To get started with the Facebook account authentication feature, just add the Facebook plug-in in the Visual Guard administration consoles. The next article will look at how to enrich Visual Guard user accounts with extended attribute parameters to improve Visual Guard’s integration into your applications. 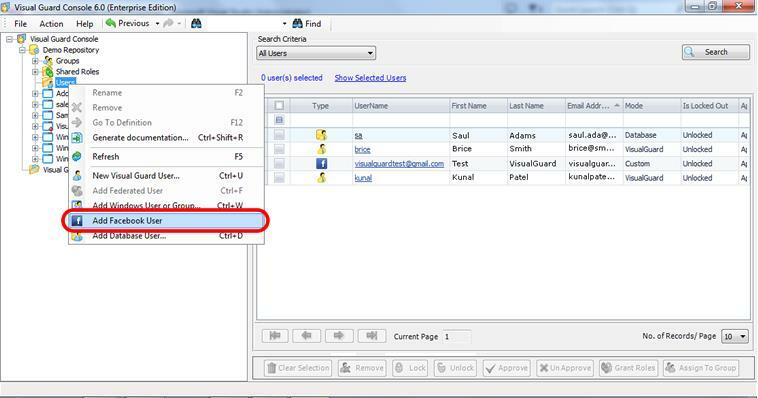 The ability to synchronize Visual Guard accounts with 20 extra parameters when using Active Directory accounts. The ability to synchronize Visual Guard accounts with data from a functional table of users that already exists in your application.